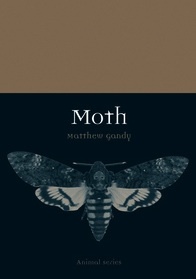 Matthew Gandy is a Professor at the Department of Geography, University of Cambridge and the author of the new book ‘Moth’. The pitch invasion by moths at the Stadte de France brought these fascinating and mysterious insects to public attention. In truth, however, moths have been making a “comeback” for several years. Why should this be so? Paranthrene tabaniformis. 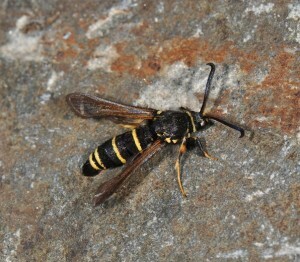 A so-called clearwing moth that resembles a wasp. The phenomenon of insect mimicry has been a source of fascination for Vladimir Nabokov and many other authors. Photo: Matthew Gandy. The Internet has transformed the possibilities for sharing scientific knowledge and in particular the subtle complexities of species identification. Instead of waiting weeks or months for a response from an overworked museum based specialist it is now possible for an extended and vibrant community of experts, both lay and professional, to help expand public knowledge of moths. Natural history has become more accessible than ever before. There has been spate of excellent new field guides to help inspire interest in the subject and transform everyday excursions or accidental finds into an experience of wonder at the natural world. In the place of photographic plates depicted faded ranks of set specimens there has been a revolutionary emphasis on the depiction of the living likeness of a moth in its natural resting position. Scientific research into moths is also expanding to include new fields such as light pollution, pollination, and DNA barcoding. Changes in the abundance and distribution of moths provide vital clues into the rate and scale of contemporary environmental change. This is a also a scientific project that every moth enthusiast can take part in so that out observations or scribbled notes become part of something bigger. Moths are now at the forefront of citizen science. Moths are becoming a trendy dimension to popular culture ranging from tattoos to album cover art. The presence of moths now extends from the literary classics of Vladimir Nabokov and Virginia Woolf to the vibrant colours of graffiti art or their mysterious presence in the films of Andrea Arnold. The moth is now part of our culture flitting between the Gothic imagination and intimations of the entomological sublime. A special offer for National Moth Week participants and followers: Order the book at a special 20% discount! To take advantage of the offer – go towww.reaktionbooks.co.uk and enter the special discount code NMW20 at the checkout. The offer will end on 31 August 2016. This entry was posted in Moth Information. Bookmark the permalink.